A Caitlyn Jenner Halloween costume has sparked outrage on social media from critics who say it insults transgender people and promotes stereotypes. 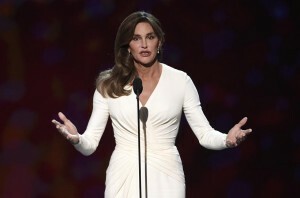 The costume features a white bustier and shorts resembling the outfit that Jenner wore on the cover of Vanity Fair to introduce her transition. It comes with a brunette wig and a pageant sash that reads, “Call Me Caitlyn,“ which was the story’s headline. A petition has been launched on Change.org demanding that costume company Spirit Halloween stop producing and selling the costume, which is currently scheduled to hit shelves next month. If they pull the “official costume” you know people will just go to the DIY Pinterest section….